The East Tennessee Symphony Orchestra consists of accomplished musicians who volunteer their time to enrich their community through music. Membership is based on current openings and auditions as we seek to have a well balanced orchestra capable of delivering high quality musical performances. If you’re interested in joining please contact the section leader below. The East Tennessee Symphony Orchestra serves, educates and connects the community through exceptional outdoor concerts performed by skilled volunteer musicians. 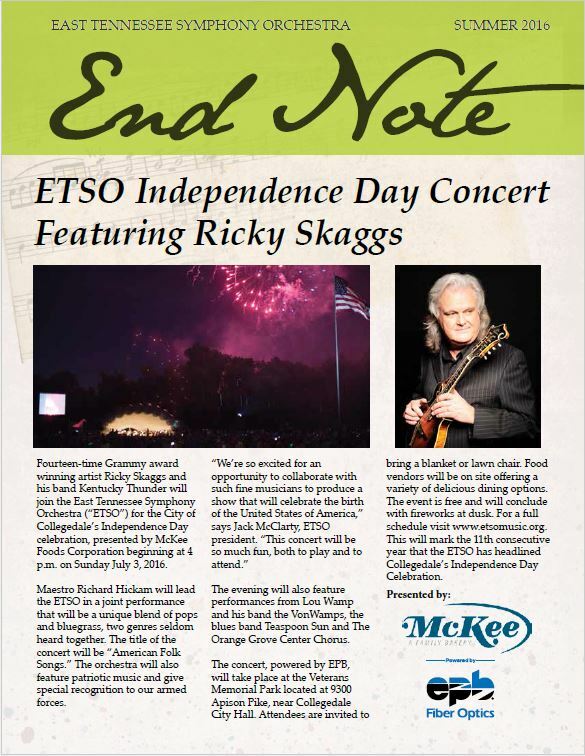 Learn more about how ETSO brings symphonic music to the community.